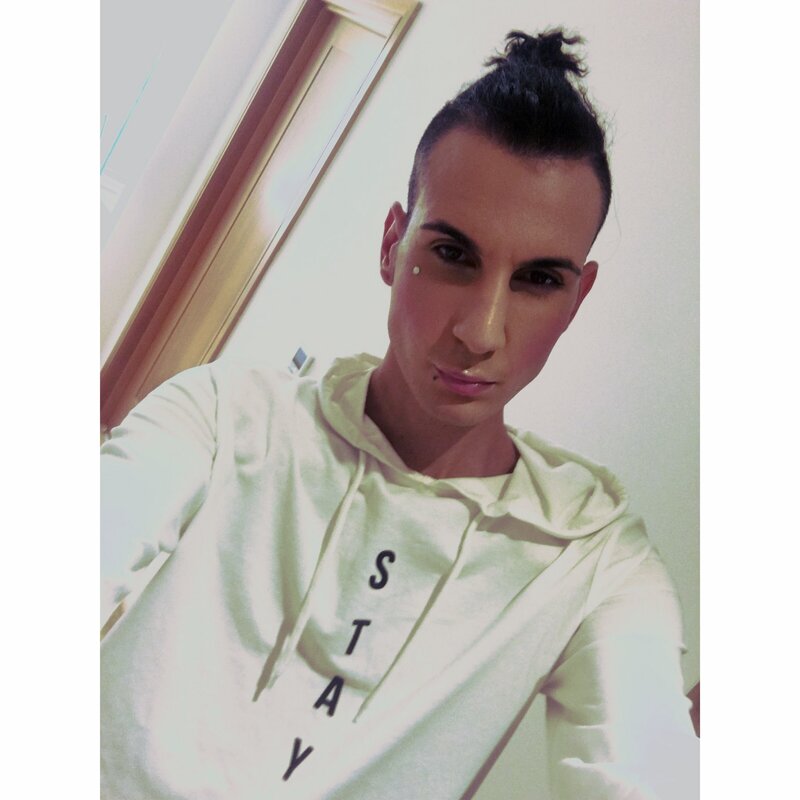 Sensational X Factor star Ottavio opens up about his tough coming out experience and the torturous bullying he endured at school. While The X Factor judges might be determined to find the next big credible pop star, we at home are way more interested in the more colourful characters who dance and croon across our screens. No? Well do you remember Leon Jackson, Tesco Mary or, for that matter, anyone from last year’s series?? Nah, of course you don’t. You’ll more than likely remember the dubious sounds of that dreadful chicken factory guy who sang Barbie Girl, the fabulous Jedward or bloody Chico! But to give them credit, they had a style of their own and as much as we might want to, we have never forgotten them! This year X Factor producers have totally spoilt us, serving up an insane crew of kooky eccentrics such as that ‘doll’ woman and urban rapper Honey G.
Outrageously camp and dressed apparently by the Haus of Toys R Us, the pair have proved to be a refreshing breath of fresh air among a weary, dreary line up of earnest singers who claim that taking part in the X Factor is simply the most important thing in their lives (as they do). In contrast, O and B have enjoyed the experience for what it was – a moment of sheer unashamed attention-seeking pleasure – and have made the most of their outrageous screen time brilliantly. Of course, as they are one of the most talked about acts of The X Factor 2016 and through to the live finals, we simply had tosit the fellas down for a good old chinwag to find out what actually makes these very special chaps tick. And as it turns out – there is more to the boys than first meets the eye. Lovely to meet you Ottavio, and we’re so pleased you made it to the live shows… But this isn’t your first time on the X Factor, is it? No, I did it back in 2012 and got as far as boot camp with Rylan. In fact I actually made it to the final 22 in the boys’ category. I was gutted I never got through, but it made me more hungry for it this time as I have now finally found my identity because back then I wasn’t so sure. I was still scared about who I wanted to be, because I wasn’t sure how people would react. But now I don’t care. Oh really? How were you feeling back then? I always knew how I wanted to dress and how I wanted to portray myself, but there were several factors that were holding me back – such as friends and family, and the stigma from society itself. Also the area in which I lived – Newbury, Berkshire – is such a small conservative living. They are used to their one way living, so as soon as they see something different – ie me – are like wow. Even back then, you were quite flamboyant…. I was, but it wasn’t like I was the true me back then. I was like a beginner. Now I am fully what I want to be. Well, I’m not fully, but I’m getting there. I’m on my journey. Were you an openly out gay guy back then? I came out at 18, so was just out. I am 24 now. Back then I would wear a Mariah Carey top with one of her slogans but I still wore manly shorts and a disgusting snood, that looked like Blofeld’s cat from the Bond movies wrapped around my neck. What a look! So how long had you been hiding your gayness? I knew I was gay from around 14, but it was very hard for me to come out because I came from a very Italian Roman catholic background. It was very strict. My parents brought me and my brothers and sisters up in the same way their parents had brought them up. They were living still with their own old fashioned values. I was really scared and I didn’t want to break that. So when you thought to yourself you were different, how did you deal with that at home and at school? School was awful for me. I would get my head shoved in a locker a few times. I was thrown across tables by my school shirt collar. I used to wear a fleece at school and would walk along the corridors all hunched over and head down. It was like I was confident but not confident enough to be proud. I always knew who I was, even if I hadn’t told everyone else who I really was. It was that fear that you don’t know what people were going to think. And at the time for me it was like society wasn’t stabalised just yet with issues like that. When they were beating you up at school, what kind of things were they saying to you? I got all the derogatory terms. I was called disgusting names about my sexuality and about my religion. I was told I would go to hell if I didn’t repent my sins because of who I was. I was at a sports college. That must be like being thrown into the lion’s den. I used to skive the PE lessons all the time – but eventually they just didn’t believe the excuse that I had banged my head anymore. I went to my head of year and I said I really didn’t want to do sport and she put me forward for GCSE dance. She knew that I probably wanted to be creative and flamboyant, like a Billy Elliot. Did the teachers actually do anything to stop the bullying? I told my parents that I was being bullied, though I never explained what was being said by the bullies. My parents went to the school furious and were told that the school had zero tolerance against bullying – and yet they never did anything. That must have been tough. You must have felt awful. I went through some very dark times when I almost told my mum what was going on. But I held back because the fear of knowing what the response would be. It was the fear of what people would think or say. Would they treat me the same? Would I get categorised? Its sounds like a gay cliché, but I found comfort in Mariah Carey songs. They worked for me. Her songs are inspirational. Butterfly and Through The Rain because they really helped me through the horrible times. Tell us about the horrible times. Well, I remember at secondary school I was walking through the school gates and I may have been walking in with a girlie walk and these guys came up to me and started kicking and punching me. I went straight to my head of year and reported it but I felt like nothing got done and I started to think what was the point. I used to hide myself in the blue fleece and ruck sack. I had no confidence. Did you have anyone to turn to ? You’re gay, just come out, you’ll be fine.’ And it kept going on. But I still wasn’t ready. I wasn’t like my brothers who could handle a fight. If I was in a fight I’d probably end up in hospital because I am more verbal than I am physical. When you did finally come out, and who was the first person you told? Well, I told my mum at the top of the escalator in a shop. When I told her she said to me ‘But you can’t be, what’s your nan going to say? I’m going to walk down the street and people will be laughing at us!’ At the time I was thinking, ‘what about me? What about my feelings?’ It took a while but my mum has now accepted who I am. But I did say to her I am what I am and that I couldn’t change that. I always knew I was gay – my only regret is I didn’t come out sooner. I wish I had made that leap at school and have that confidence to be who I was and not be the introvert hiding away. I wish I had had a coming out party, with a bit Dame Shirley, singing I Am What I Am. But everyone knew before me. Were you more flamboyant when you weren’t at home? Well, if I was going out on the town with my mum I had to wear guy’s clothes. Meanwhile I would be looking online at girls’ fashions and always wondering if mum or dad knew what I was looking at. I didn’t want to give them any clues because I wasn’t ready. Did you ever slip into your mum’s outfits? How are your brothers about your sexuality identity now? Well, they always knew and that is what is annoying now, because I would have come out sooner if I’d known how they’d react. They are fine about it, they are very supportive. In Part 2: Bradley recalls the time he was beaten up in a nightclub for being gay, his three year relationship with a girl plus did Bradley and Ottavio ever get it on?????? Previous ArticleInternational Chest Hair Crisis Narrowly Averted!